VISPER is a chat application for iOS and Android. I want to share with you what my responsibilities were in the project and the approaches my team took to handle the design problems that we faced along the way. 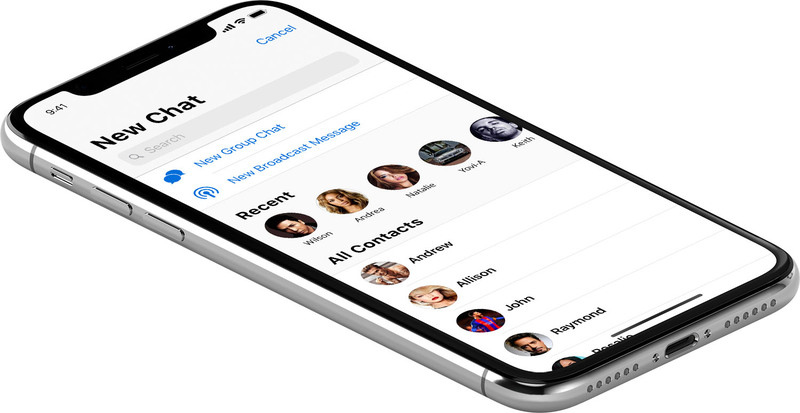 The main challenge of making a chat application, is how to design an app that becomes transparent to the user? When you are chatting with a friend, you shouldn't be thinking about the app you're using, but instead the conversation you are having. My first goal was to learn as much as possible about the project. I held a few meeting with the stakeholders of the project to try and understand as much as possible about the project. The most important question at this stage for me is this: "What problem are we trying to solve?" My method of understanding most things is to play the devil's advocate and to logically wrestle with the problem and the proposed solution until everyone I am 100% clear on what the problem is, how we are solving it, and how we are different from others. What these meetings provide are the ability for me to navigate through the different solutions in the future and make the right decisions with less dependance on meetings and getting approval on every single item. This helps the company save a lot of time and get to market quicker. My next goal was to get all of the stakeholders on the same page about what features are there going to be in the app. 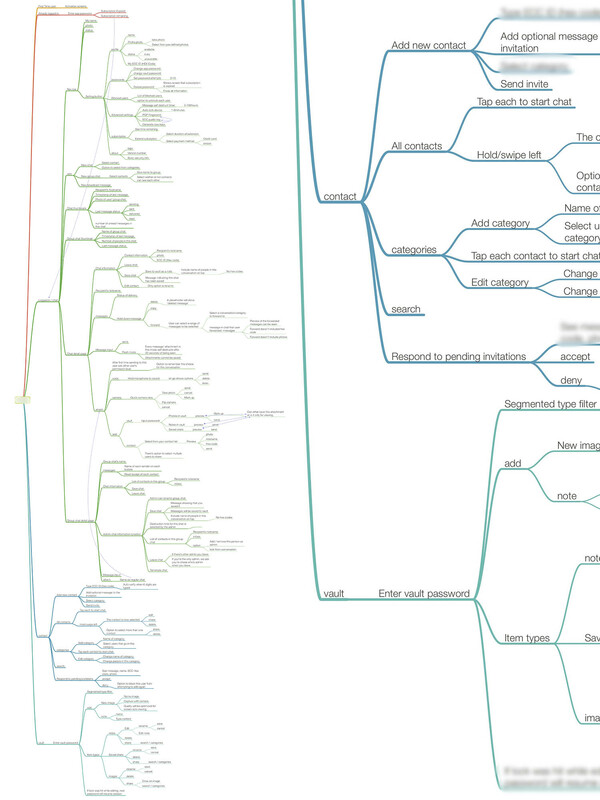 I started working on a mind-map (shown below) that includes all of the pages and features that I thought should be in the app. Mind-maps at this stage are invaluable to move the project forward as fast as possible. After creating a first draft, I help a meeting with all stakeholders and walked them through all of the pages. There are two benefits of using the mind-map that become very clear at this stage. First, they help being everyone on the same page at a very early stage and they help set expectations for what the final product is going to include. If there are any inconsistencies with their expectations and what is presented here, it's best to address them at this stage when no design or development has taken place. Adding or removing features later in the process would be very costly as they would need a lot of extra time to be re-designed and re-developed. Second benefit of the mind-map is how quickly it can be iterated upon. 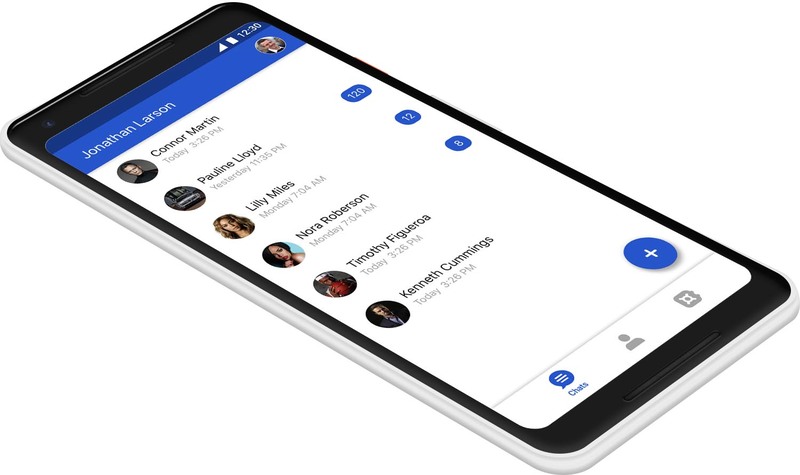 If some features needed to be moved to a different page, or if some pages belonged to a different section of the app altogether, it would take only one second to do a drag and drop to fix it. My next goal was to find if there are any blockers for developers that we needed to be aware of. I held a meeting with the development team and walked them through every page and feature of the app using the help of the mind-map. I was looking for any areas that they might thing might become a problem in the future. We evaluated any problems that were raised, to see if the problem could be solved with design, front-end development or back-end development. This helped everyone anticipate the tough areas and to prepare better for them in the future. I worked closely with the BA (business analyst) team to create all of process flows. Making sure that all of the states of the app were accounted for. 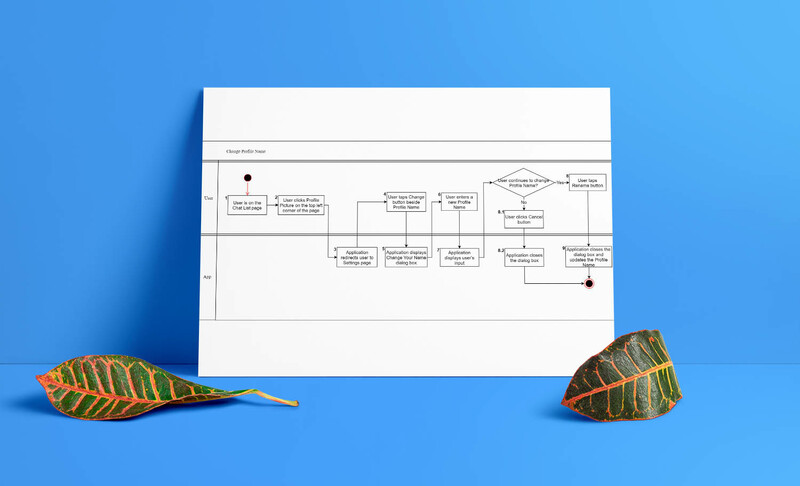 The mind-map was very helpful at this stage ensuring that we left no stone unturned and all the features were accounted for int he process flows. 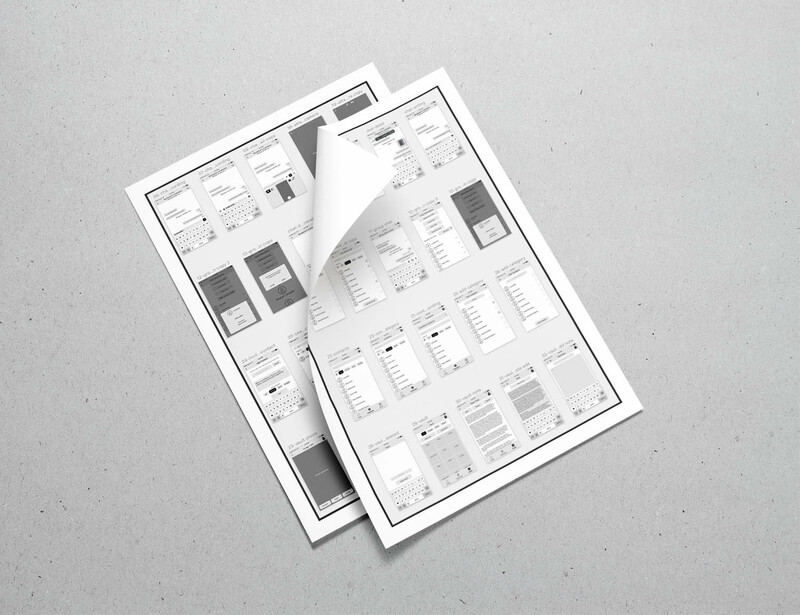 With process flows completed, i used Sketch to quickly create wireframes of all screens. Once the wireframes were approved I made them interactive. For this specific project we used Invision's platform with their CRAFT plug-in for Sketch to create the interactive prototype. 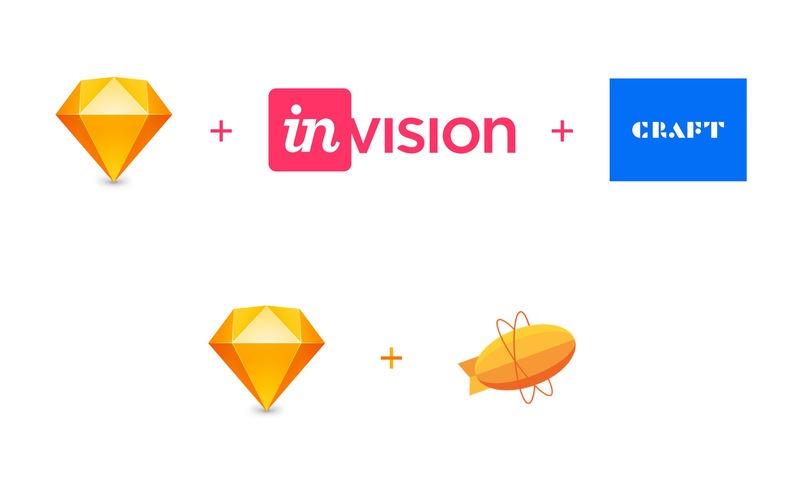 This was before Sketch 49 was introduced, where they added native prototyping inside sketch with support for Zeplin. Once Sketch introduced version 49 we gave it a shot with a couple of our projects and the results were simply amazing. Sketch + Zeplin turned out to be a much better experience than Sketch + Craft. The logo design instructions were simple. A unique icon with two elements that would represent chat and security. My first attempt was a brute force of all possible options. I made a few different chat icons, and a few that would represent security and I mixed and matched all of the options possible. We ended up picking our favourite chat bubble with a keyhole in the middle as the final logo. The final decision was between a keyhole and a lock. Although a lock seems more secure, it could also be interpreted negatively. Locked content, blocked users, and passwords are associated with a lock, but a keyhole has an exciting element to it. You peek through a keyhole to see what's on the other side. A key hole shows that this app is secure and also that it can be easily unlocked by the right key/owner to reveal all of the exciting content! At each sprint-planning meeting I keep an eye open for any front-end development that will be taking place. If there are any, I make sure to have a meeting with the developers to go over all of the screens and go through every single detail and make sure no stone is left unturned. I make sure the transitions between the screens, the haptic feedback, and the sound effects are all properly communicated. We needed a custom animation for a screen where the user would move their finger on the screen to generate a random encryption key. I came up with the idea of using an animation that matches the speed at which the user is moving their finger, and taking advantage of the Taptic Engine on iPhones to communicate the progress with the users. You’re a UI designer. 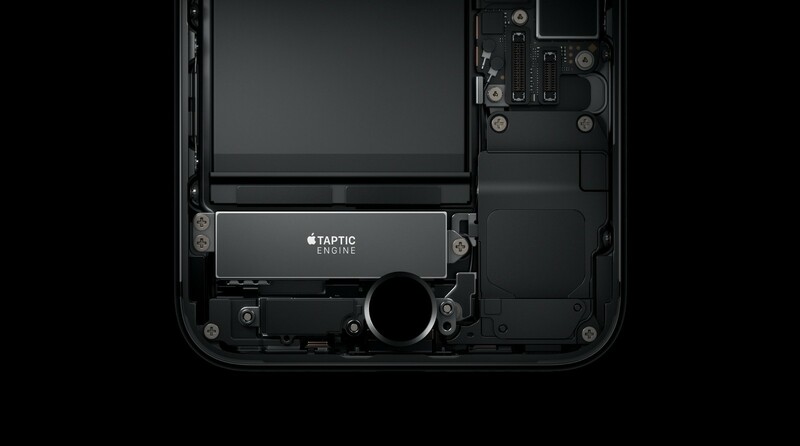 You’ve heard about the Taptic Engine on the iPhones and watched the developer videos where Apple encourages you to integrate them into your design. At first you thought, it’s only on the iPhone 6S. It’s a small market. Then the next iPhone came and you procrastinated more. And now it’s maybe too late to get started with it? I like to always add a little extra something to the interface to make it feel more interactive and fun. There is a little bit of magic when haptic feedback, sound, and animations come together to create the perfect experience. Take a look at this example where a user is asked to enter a password to enter the gallery. When the user inputs the wrong password, the "Notification Error" Taptic Engine response is played, along with the sound of keys failing to open a lock, accompanied by the animation that shows the attempt was not successful. The only thing remaining was to design the successful experience for unlocking the gallery. The "Notification Success" Taptic feedback with the unlocking animation seemed to do the trick. I decided to add a cherry on top by creating a custom animation on the landing page of the marketing website. I used WebFlow to create the animation. WebFlow is becoming the leading tool in website design and development and many large companies are chosing it as their main development tool. Fun fact, this website was designed and published in WebFlow as well!